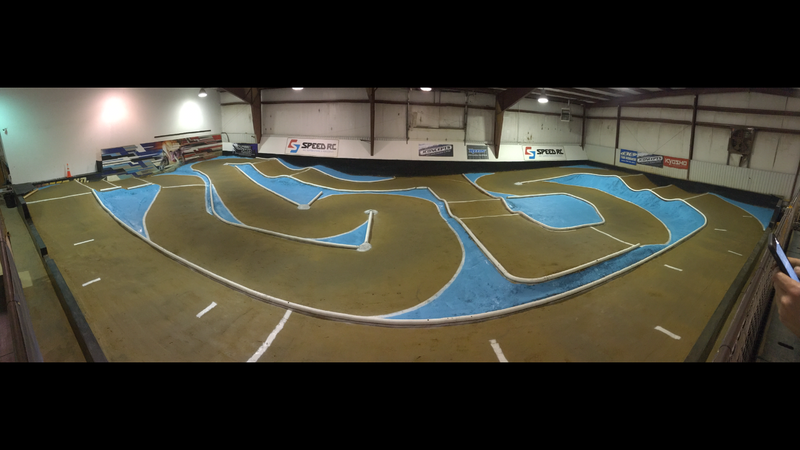 Just got back home from the JC Indoor Nats Finale at Speed RC in Mooresville, NC. I flew out a little earlier than normal, flew in on Wednesday and got to catch the Wednesday night club race which was really fun. I only had one set of tires for that night, which were brand new Proline Electron’s for my truck, Kyosho RT6, and Electron 2wd fronts and Positron buggy rears for my Kyosho RB6.6 all in MC compound. With the new track, slicks were the recommended tire, but I was able to make the treads work and had fun that night. Thursday, Scott was kind enough to let me drive his VW eGulf to the JGR MX/SX team shop. I met this really awesome guy last time at Speed RC and he works over there, so we chat about bikes and we are both LOVE old 2-stroke bikes. I brought my shock from my 2006 CR125 for them to dial in and get all setup for the bike. 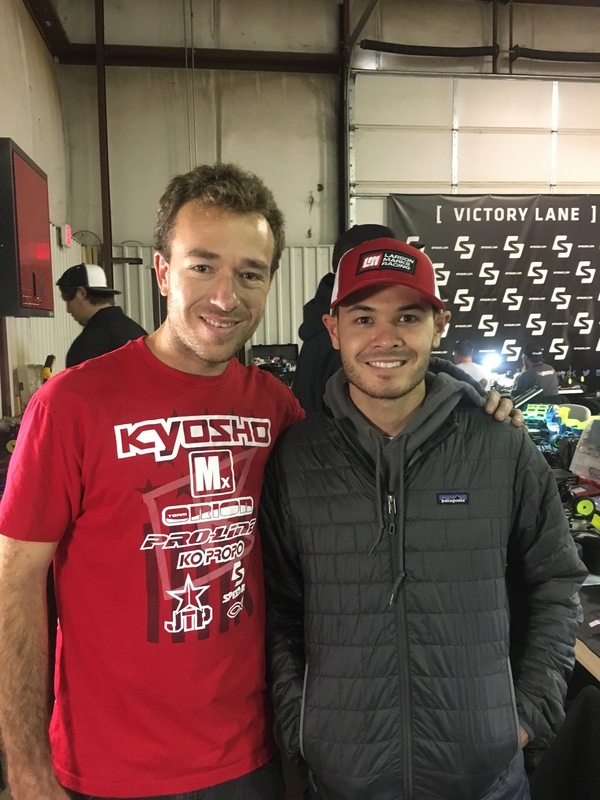 After I got to the track, Scott and I made a little deal. He was bummed because his car was super dirty, all busted up, and was driving very poorly, he wasn’t even going to race. 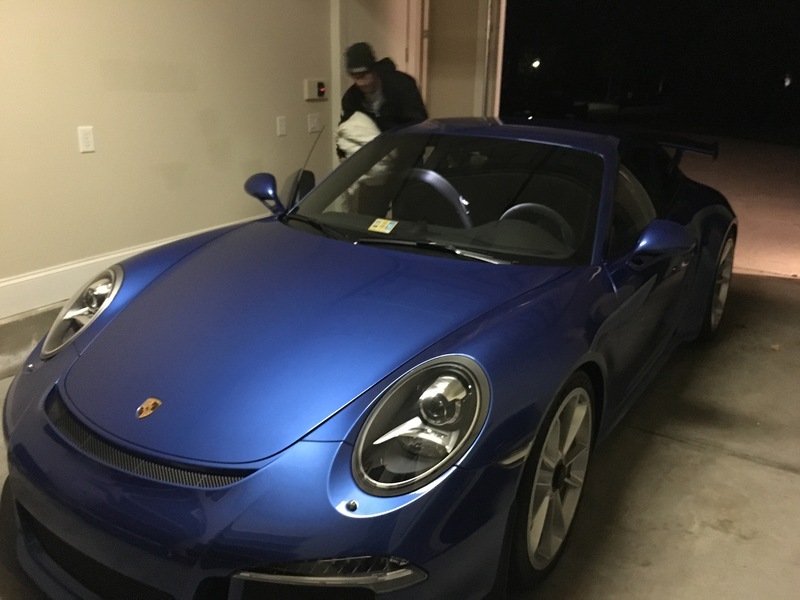 He made a deal if I got his car fixed and went through it and made it drive good, good enough to race and beat TJ Bell, I could take his new Porsche GT3 out for a little joy ride….so the OBVIOUS answer was…..sure thing boss! A couple hours later, his car was dialed and he was turning some laps in practice. I got some laps as well and focused on mounting all my race tires and getting them all broke in properly and everything like that. The track was changing and was back to where treaded tires were better than slicks, but your treads had to be low. Friday was the actual first day of the JC Indoor Nats Finale and they had 5 minute controlled practice from 9am to 4pm and then we would do 1 round of seeding practice. I had some good practice sessions and was really happy with my cars, my tires, and my driving. Seeding started and the track was kinda going back towards slicks, I would say it was a 50/50 mix of drivers using treads vs slicks. JC also had a new “treaded” slick tire, so his drivers were running those. In Truck, I went with slicks, the first time I ran with slicks so far while being at Speed RC. I was fast, but really didn’t enjoy the feeling of my truck. I was still able to seed the fastest. For 4wd I went with my Proline MC Electrons and Positrons and my feeling was AMAZING! I felt very fast and very consistent, setting the fastest seed time in 4wd. 2wd Mod would be the last class to run and I was all ready. 2wd Mod is always the premier class here in the US, so I wanted to top off seeding with a clean sweep. 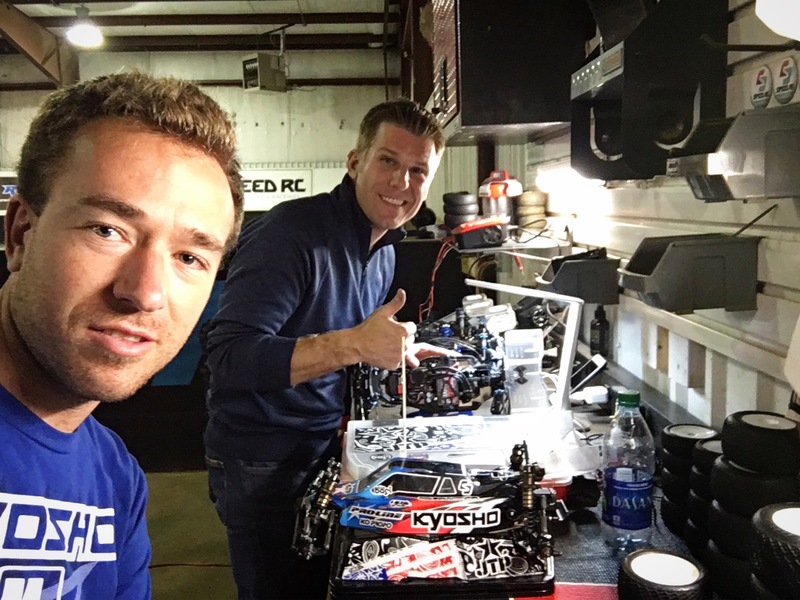 My new Kyosho RB6.6 was feeling amazing and I had a really consistent and fast run, just beating Spencer Rivkin in the 3 lap seeding time. Saturday would be all of qualifying. 3 rounds of 5 minute qualifiers for each class. First class up was Mod Truck. I’ve been testing a new JTP Carbon Fiber Front Tower, the front end shock geometry is completely different, and the early testing has been great. 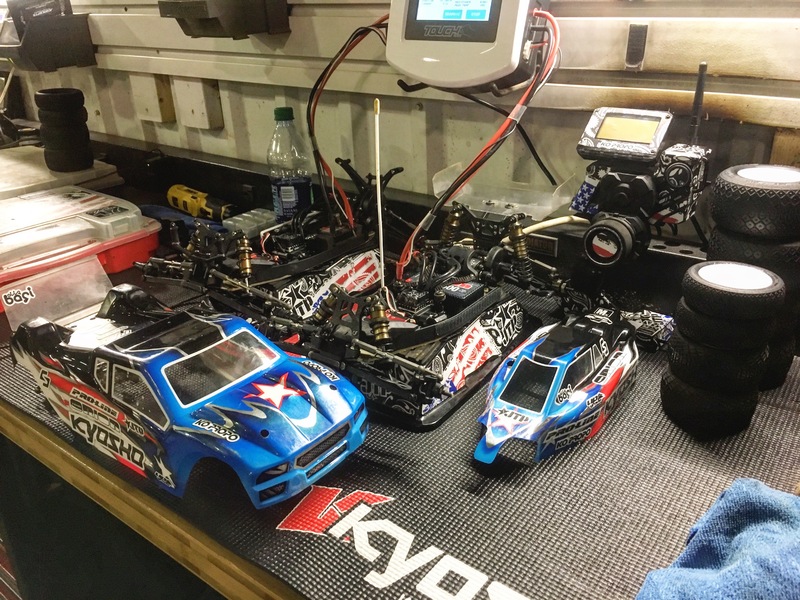 My Kyosho RT6 was great in practice and I was ready to do battle. I had a great start to my qualifier, but Rivkin was right on me, with him on slicks, he was fast early. I fought off the early battle, then his tires faded bad and I took an easy Q1 TQ. 4wd Mod was next and I was even more confident with this car. I have been testing some prototype top decks and JTP will be selling them very soon, my car has been just amazing lately, and I have the prefect setup now. I had a perfectly clean run going and was putting down really fast laps. The AE kids kept me in sight at the beginning, then I made a mistake and dropped back a little. I caught up to the leader, Alex K and put the pressure on him. Alex bobbled and I got by, then we battled for the TQ in the final laps, and I took the TQ with a late race mistake by Alex. 2wd Mod was last and I wanted to keep the TQ ball rolling. 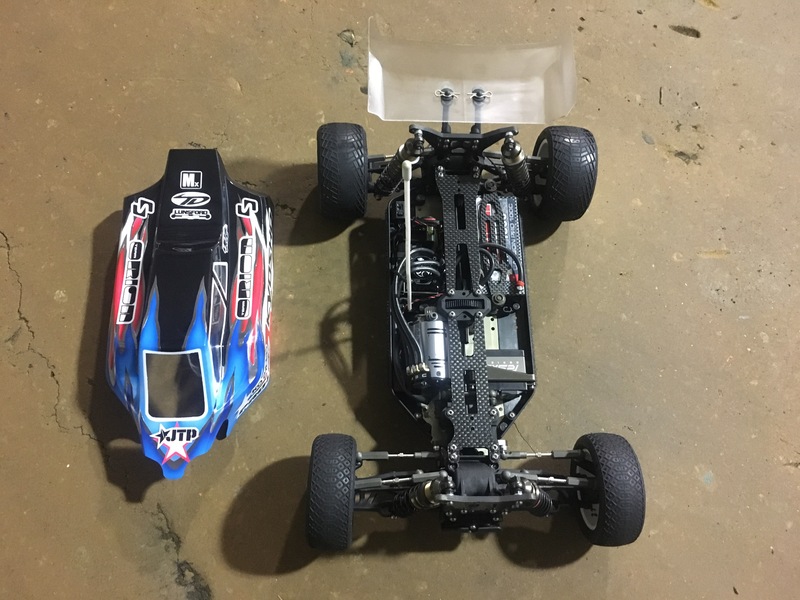 My Kyosho RB6.6 was handling just as good as my other cars and I was feeling it. I had a great run going, leading most of the heat, but with a minute left, I had a 1.5 second lead, I made a mistake at the end of the front straight and crashed. I dropped back to second and charged super hard at the end, but came up .4 of a second short to take 2nd behind Rivkin. Q2 was up and truck was up again. The qualifier went about the same, Rivkin challenging for just a few laps, but not able to hold on with running slicks. 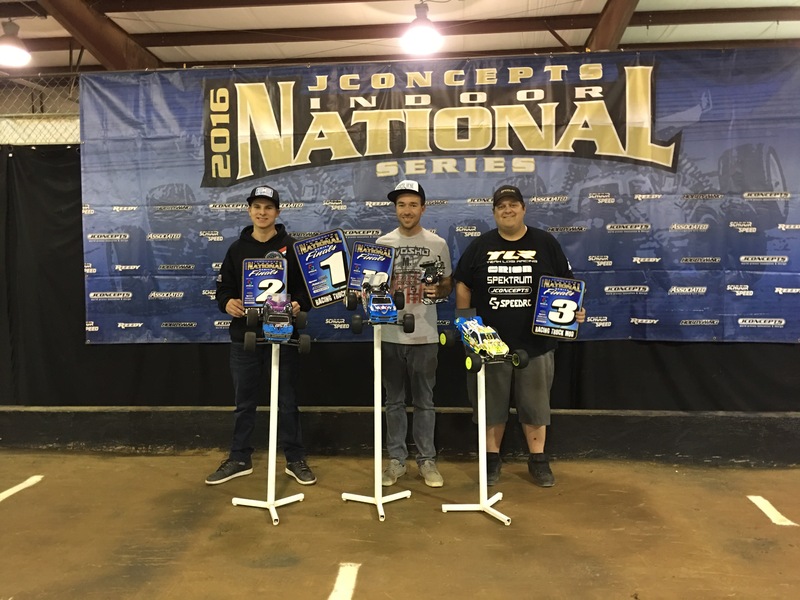 I took another TQ and locked up the overall. 4wd I wanted the same. My car was feeling so stable and so fast in the corners, it was just a blast to drive! 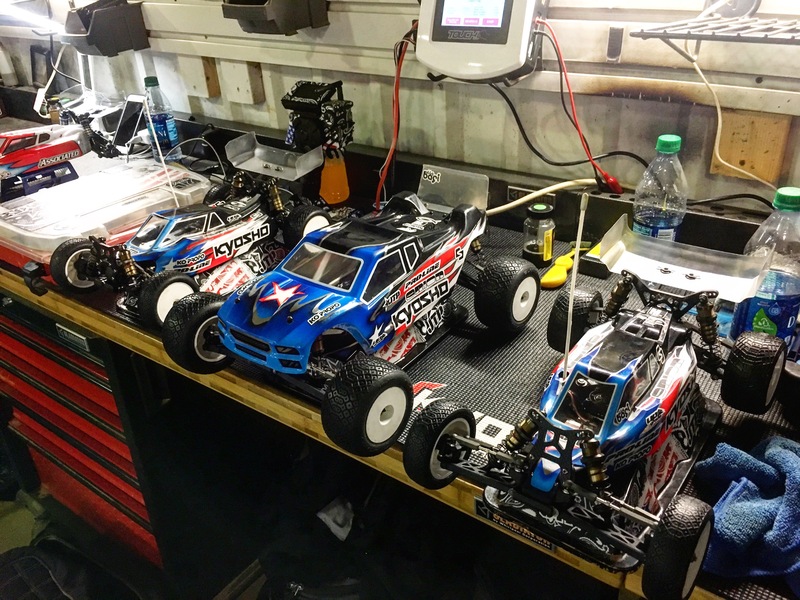 I had a clean run and took the TQ and locked up another overall. 2wd was here and I put the first race and my mistake behind me. I charged hard early and was setting a great pace. It was tight in the front, but I had the lead and was feeling very confident I wouldn’t give it up. I caught up to a slower car and it slowed down in a section I wasn’t expecting and I blasted the back of it full throttle, sending my car flying off the track and into another lane. I lost the lead and the TQ, giving the overall to Rivkin. I was pretty bummed because I knew I had the speed to get the TQ, but I still thought I could win from 2nd on the grid. Q3 was here and I wanted to test a different set of tires so I would have two options for Sunday’s mains. Truck was up and I was having another great run, setting the TQ pace, but about halfway through I started to case some jumps and then shorted the triple big time. After that I realized my power was MUCH slower than normal, and then I started to think that I maybe forgot to charge my battery. I run my speedo with all the lipo cut off settings turned off, so I pulled off the track so I wouldn’t burst my truck into flames. Turned out my battery was completely dead and puffed up some as well, which was a bummer. Even we make stupid mistakes like forgetting to charge your battery between runs! 4wd I ran a set of tires that had quite a bit taller tread than I had been running, so I was curious to see how the grip was. My steering was still good, but the rear end was a little more unstable than in previous runs. I still managed a good run and took the TQ for a clean sweep of TQ’s in qualifying with my Kyosho ZX6.6! 2wd Mod was the final race of the day and the battle was on. I crashed all on my own very early, pushing too hard at the end of the straight and flipping down the steps. I put in a great charge to come back through and took a 2nd for the round and secured 2nd overall. Sunday Sunday Sunday, race day for us! I was really feeling it and couldn’t wait to battle on the track and try to finish off a good weekend with some wins. All of 2016 I have had a hard time finishing off my weekends and not driving with confidence in the mains. I made no setup changes after qualifying, had my best tires picked out that I ran in Q1 and Q2 for all three of my cars. 4wd A1 was up first. 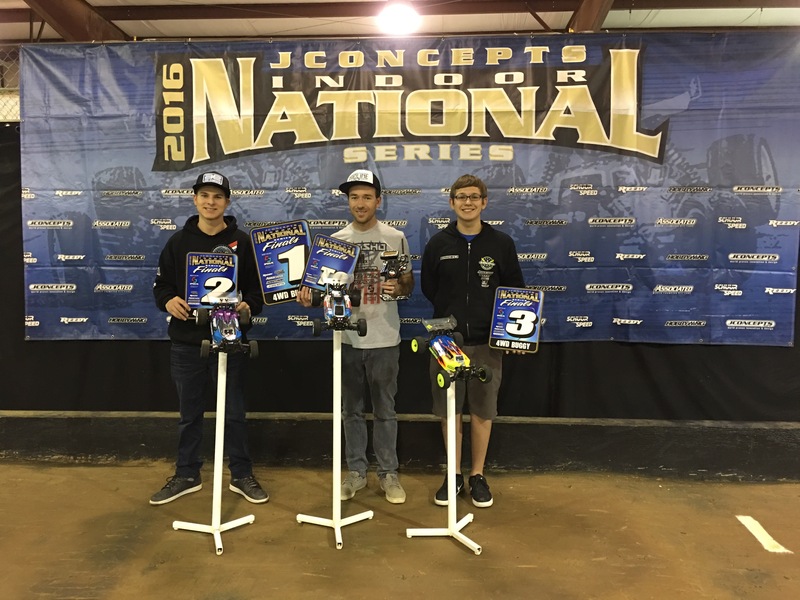 I started TQ and had a lot of confidence going into the race. Spencer ran close in the first few laps, but my pace was great for the whole 5 minutes and I was able to just drive away with the win. A1 of 2wd would be a much different race. I started 2nd and wanted to have good intensity so I could fight hard. The tone went off and I was right on Spencer, I was a little too aggressive in the first few turns and clipped his rear tire, flipping him. I checked up and luckily he landed on his wheels and held onto the lead, but I dropped behind Alex K and into 3rd. Just a few turns later, I would land too far on a step up and land into Alex K, taking him out. It was a pure accident and I waited…..FOREVER. I dropped from 2nd to 10th, and figured my race was over. I was really bummed because I thought my tires only had two more good races left in them, and now I was going to add an extra race with no chance of winning it. I decided to just push hard and drive my best to charge through the pack. 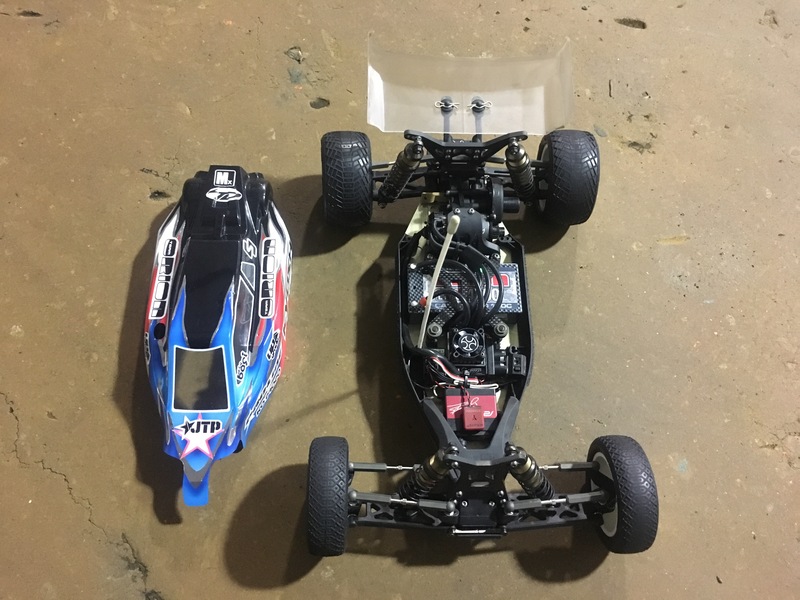 My Kyosho RB6.6 was handling so great and I was able to get inside of every car I got behind. Starting the last lap, I had caught right up to the back of 2nd place Brent Thielke. He had lost all his rear traction and was just trying to survive around the track. He went wide in the sweeper, I dove inside, but he cut down on me and we made contact. I waited and gave the spot back, and then we went into the next turn and he broke for the turn WAY earlier than normal, so again we made contact. I wasn’t able to pass after that and I was very frustrated with how the race ended, but I shouldn’t have been racing from the back anyways. Next would be the 8 minute single A-Main for Mod Truck. 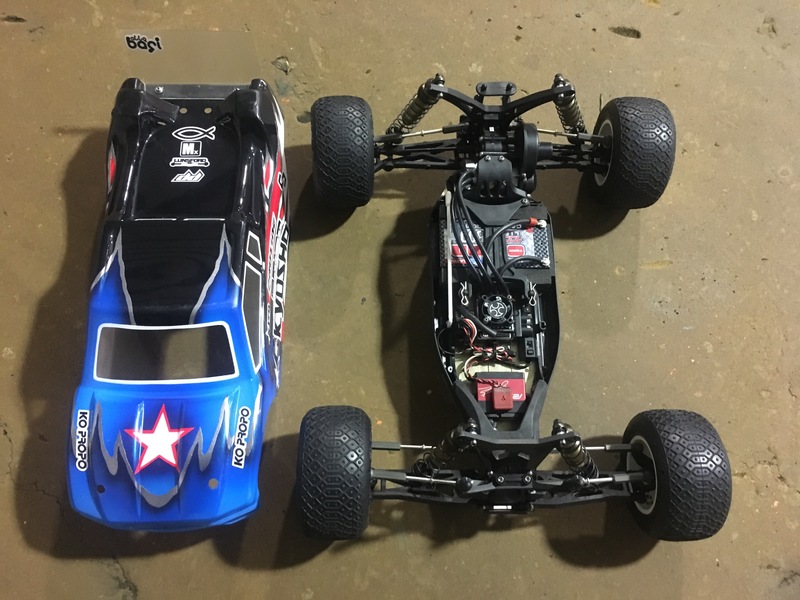 I started on TQ and pulled away pretty early, with my Kyosho RT6 handling amazing! It was a pretty good race and I lead wire to wire to take the win! A2 of 4wd was right after and I wanted the win so I could just focus on 2wd. The tone went off and I started to push really hard and build a gap. 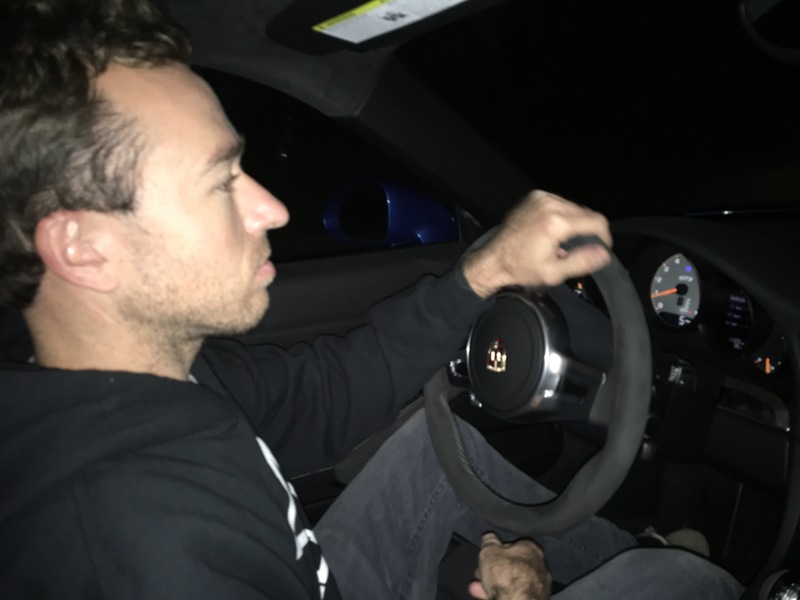 My lap times were fast and I was pulling away and just enjoying driving my car, trying not to think or look around behind me. I had a 2 second lead after a few laps, but then hit the curb after the sweeper and flipped. Rivkin got by and I was into 2nd. Alex K was right there too and he put a great inside pass on me after the triple and down the straight. A couple laps later, I would do the same move to him and get back into 2nd. I then charged right up to the back of Rivkin and was searching for a way by. He would make the same mistake as me, and flip on the same exact curb, handing the lead over. I lead the rest of the main and took the win and the overall! A2 of 2wd would be a very intense and interesting race. I started 2nd and this time the start was very clean. Rivkin was leading and I was charging hard in 2nd, and we pulled a couple second lead over the rest of the pack. I was getting the inside of him in a lot turns, but I wasn’t able to get any passes made and I wanted to make it clean. I was landing the triple really smooth and getting a tight line and a better run than Rivkin down the straight. He was trying to protect and block my line, but it was getting pretty bad, with multiple blocking attempts and a lot of contact. I was much faster and just couldn’t get by. The pace had slowed down by .5 of a second to 1 second per lap and then the whole pack behind us was catching back up. I was losing my patience and then with one minute left, Rivkin slowed down way earlier than any other lap on the front straight, I hit my brakes as soon as I could, but there was nothing I could do, and we were tangled. We both got passed and I wasn’t going to wait for Rivkin as I didn’t feel I was at fault. I finished 2nd and was not happy at all with how I was being raced, blocked, and brake checked multiple times in both A1 and A2. My last race would be A3 of 2wd and I knew it would be intense. Rivkin wasn’t happy with how A2 ended and I wasn’t either. The tone went off and we were racing hard, I wanted to make it clean, but I wasn’t going to be so nice like I was in A2 with all the blocking and brake checking going on, if I got an opening, I was going to take it and not look back! A few laps in and I got a run down the inside of the front straight and was blocked again, so the tone of the race was set. I was really heated inside my head and made a huge mistake that next lap, losing a position and dropping back to 3rd. That next lap, Rivkin went wide in the sweeper and left the inside open, Daimon got inside and Rivkin turned down trying to block. Daimon held his line and contact was made, flipping Rivkin and putting me into 2nd behind Daimon. I chased him down and then he bobbled in the same turn than Rivkin went wide in, giving me the inside line and the lead. Once in the lead I just drove my own race and took the A3 win and the overall win! After we got back to Scotts house, Scott kept his deal! I had a really great weekend all together and was really happy with how my cars were driving and with my own driving. I’ve been trying to build up my confidence and I’m looking forward to 2017 and fighting for wins! 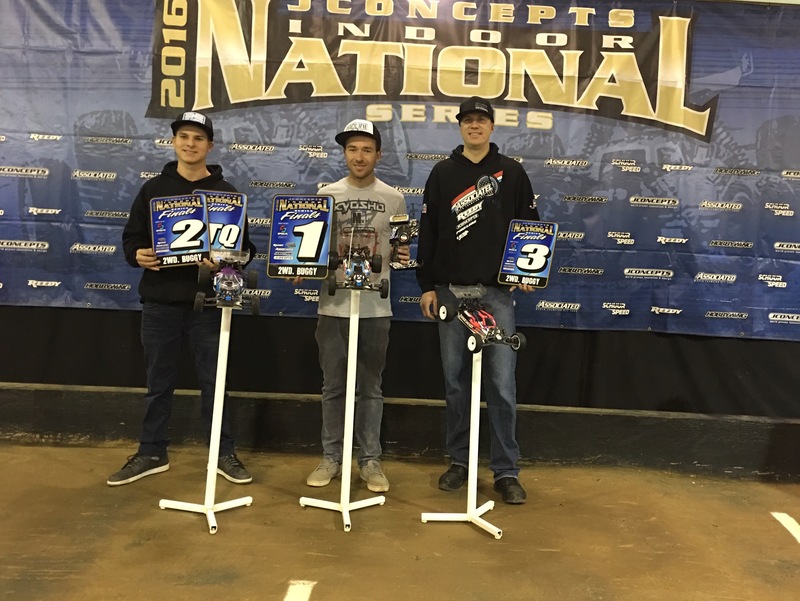 Thanks to Scott Speed, Amanda Speed, TJ Bell, my family, all my fans, all my great sponsors, Kyosho, Team Orion, Proline Racing, MX, Ko Propo, Speed RC, JTP, Upgrade-RC, TD Paint, Lunsford, and the Good Lord Jesus Christ. Thanks for reading and I look forward to 2017 and the next race, see you at the races! God Bless, and have a Merry Christmas!